Grindz removes lingering residue inside your grinder by absorbing and loosening the coffee particles and oils that get left behind. 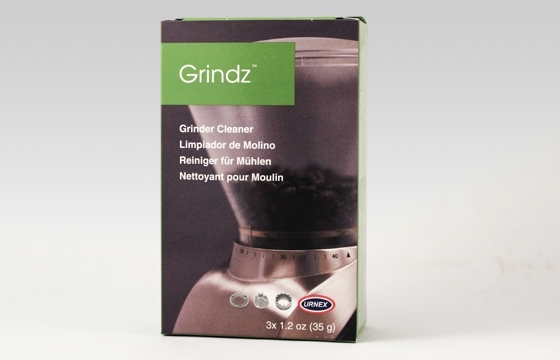 Using Grindz is as easy as grinding coffee beans – just grind the tablets through your grinder, with no disassembly required. Helps prevent coffee flavors from mixing together. Retail box contains 3 single-use (1.2oz) packets. Note: Dust may develop during grinding and is harmless. After using Grindz some coffee should be put through the grinder to clean out this dust.